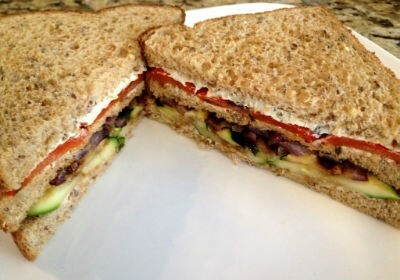 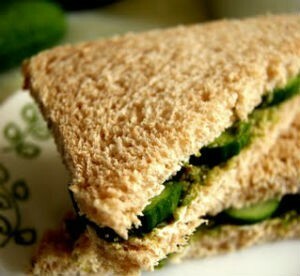 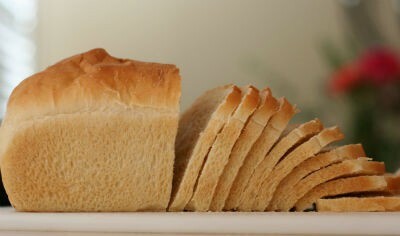 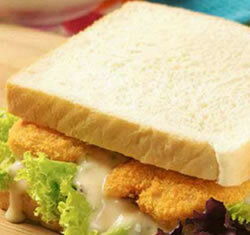 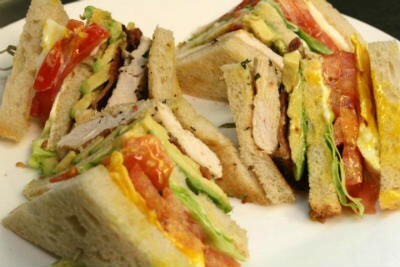 A sandwich is a food item made of one or more slices of bread with one or more layers of a filling. 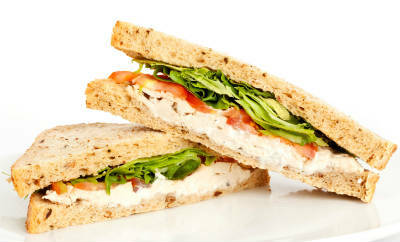 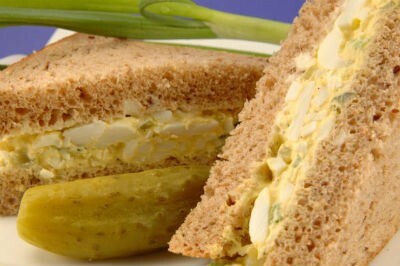 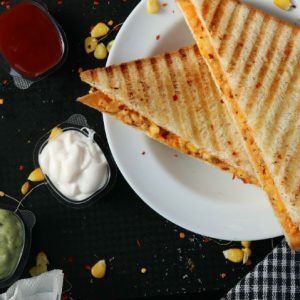 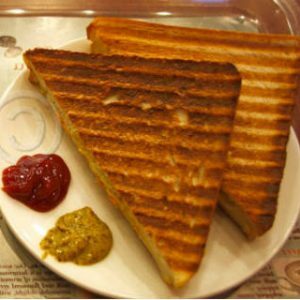 Find a variety of vegetarian and non vegetarian sandwich recipes like cheese sandwich, vegetable sandwich, chicken sandwich and more. 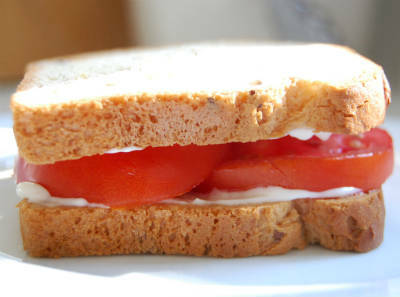 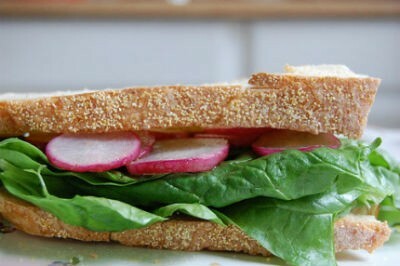 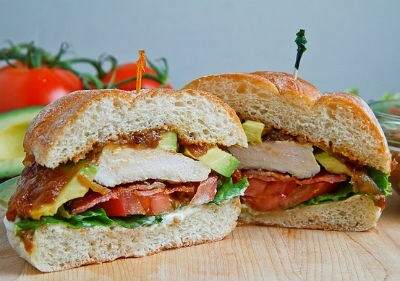 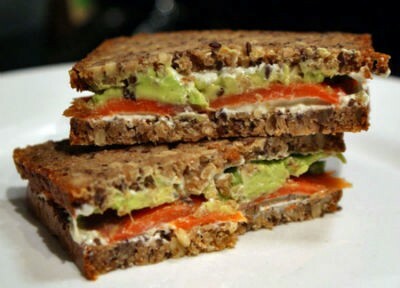 Sandwiches are simple to make and can be an easy lunch or dinner menu. 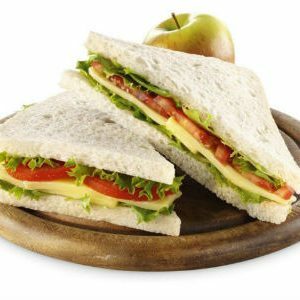 Wrapped in foil paper, one can take sandwiches to work for lunch. 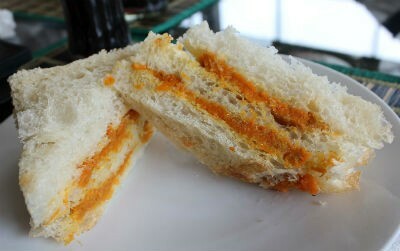 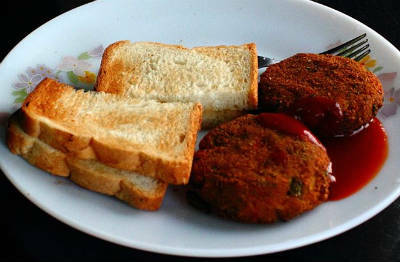 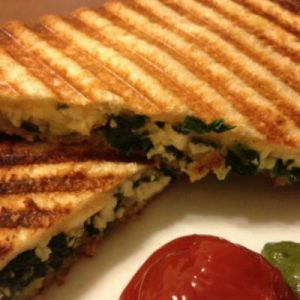 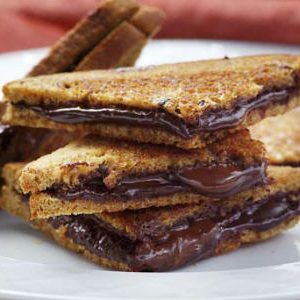 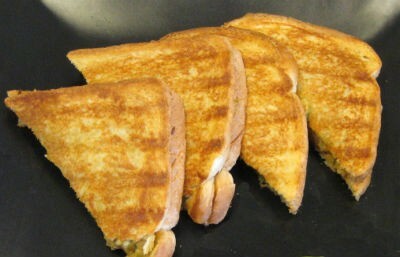 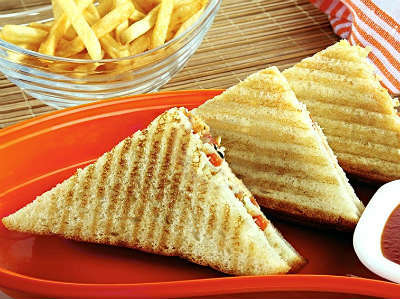 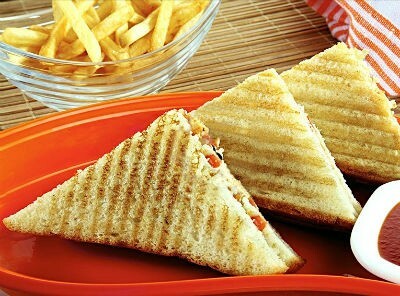 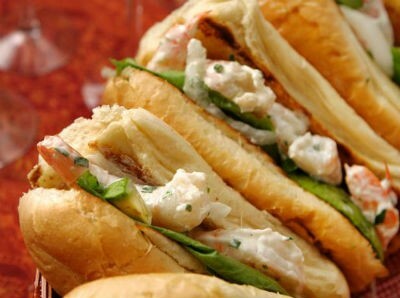 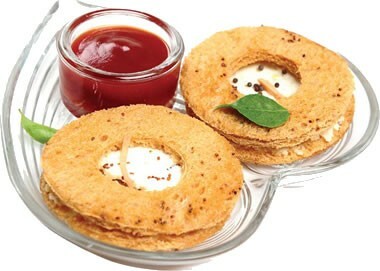 Grilled Sandwiches with wafers is an enjoyable dish in parties. 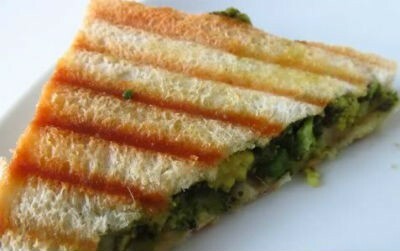 Simple sandwiches can be turned to attractive eats by decorating with simple things like shredded cabbage, tomato slices, carrot juliennes, thinly chopped salad leaves etc. 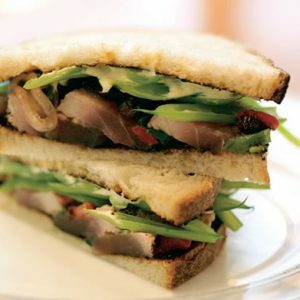 We have 98 Sandwich recipes in this category. 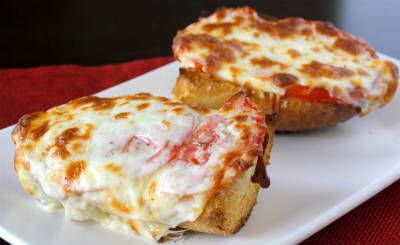 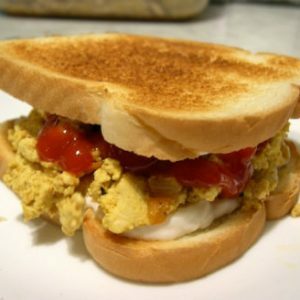 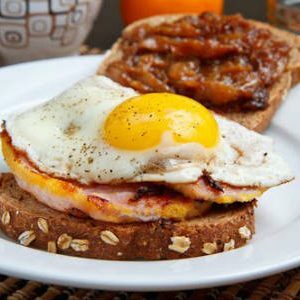 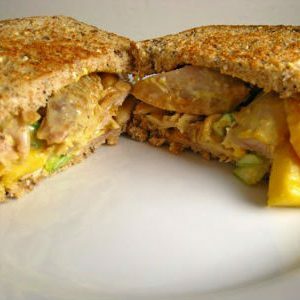 Here are the most popular Sandwich recipes from Awesome Cuisine ever.